The ultimate exhibition train. But where is the picture from? It’s ages since BTWT ran a competition. Our last one stumped everyone of our 500 or so readers. 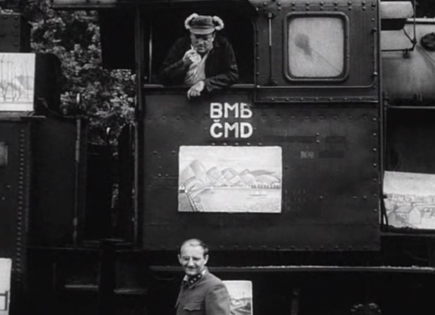 It was taken on the extensive internal railway system of the Gdansk shipyard sometime in the 1950s. 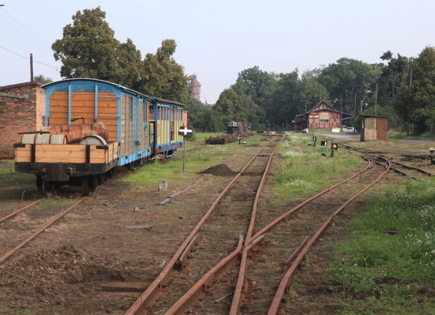 Our correspondents penetrate the security systems of some of Poland’s most interesting rail-connected places! I have a soft spot for exhibition trains, particularly since the day I discovered a closed Blandford Forum station with its trackwork almost complete when it was being used as a base for BR’s exhibition train subsidiary. So as a taster for our next competition, who will be the first to tell us where the above picture is from? Look closely. That’s a clue! 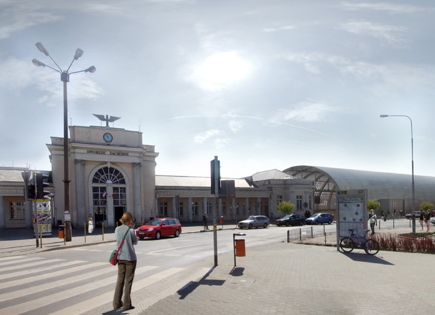 Tram station at Dworzec Zachodni adjacent to the main line station – Poznan Glowny. Artist’s impression courtesy Urzad Miasta Poznania. 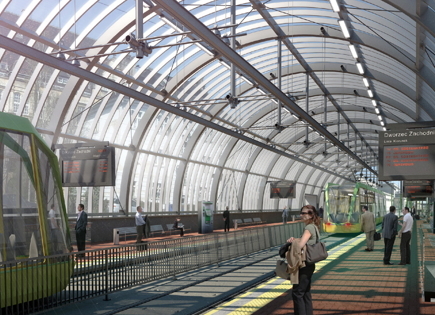 On Tuesday, 9 August a 115 m PLN contract for the extension of Poznan’s Szybki Tramwaj (PST) was signed between infrastructure company, EURO Poznan 2012, and the Krakow-based civil engineering contractor Grupa ZUE. The Mayor of Poznan, Miroslaw Kruszyński, attended the signing ceremony. The 2 km extension will extend the grade separated ‘fast tram’ route from Most Teatralny to Dworzec Zachodni, allowing trams to by-pass the frequently congested crossroads along ul. Rosevelta at: ul Dabrowskiego, ul. Swiety Marcin and most Dworcowy. The project was placed on the list of individual key projects of special importance for the development of the region by the Wielkopolska Provincial Government and will benefit from European Regional Development Fund assistance to the tune of 42 775 PLN. Tram station behind the historic Dworzec Zachodni station buildings. Artist impression courtesy Urzad Miasta Poznania. 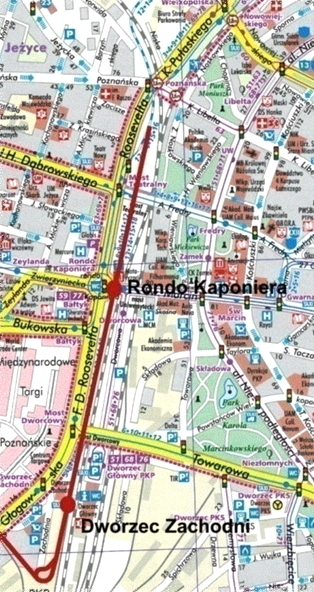 The route of the PST extension to Dworzec Zachodni. Map courtesy Urzad Miasta Poznania. A ride in Poznan’s ‘fast tram’ from its northern terminus at the Jana III Sobieskiego housing estate to the link with the city’s street running tramways at Most Teatralny. YouTube video by motorniczy1989. What I found, was a large number of transporters in the station area, all with lot numbers spray painted on. 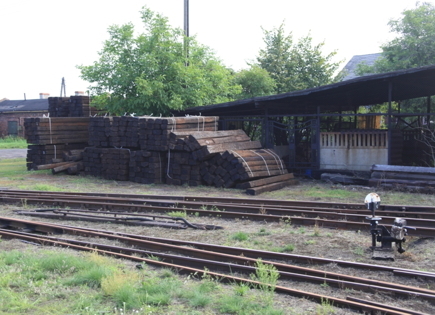 As I drove down past the side of the station, I noticed a large pile of sleepers in the distance, and, curious as to what they were doing there (and partially fearing the worst – tracklifting) found they were all ex-standard gauge sleepers, and lots of them. As I parked up, someone came out of the workshop, so I greeted them and asked them about the sleepers. They explained that it was for remont and indicated the station area. 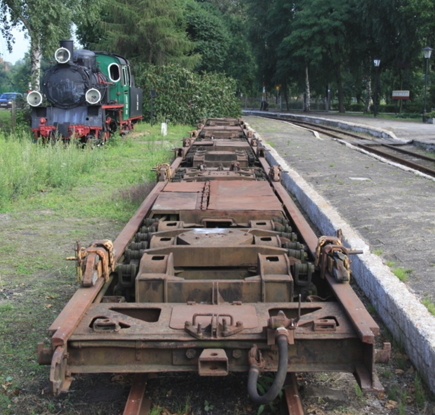 I said that there were no trains now, and the guy said that the railway was now owned by the town. I asked who paid for the sleepers, and he replied that the town had bought them. (I assume that this means the council.) I asked if there would be trains next year, and it got a half shrug, Byc moze. There were a couple of guys in the workshop area behind the shed. I didn’t actually see anyone physically working outside, but the activity looks very recent. 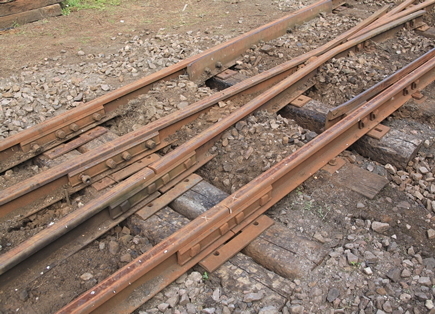 There was a clear single shiny line on one set of rails where something had been moved fairly recently. I couldn’t work out what it was. As far as the resleepering goes, the size of the pile tells its own story. There are a fair few there, and I imagine that you could cut them in half and get two out of each one given the gauge difference. As you can see in the photos looking down the yard, there are a good few excavations where sleepers are being changed. Each one is marked with an “X” on the rail head. The stock around the yard is more or less as it was left. There is a broken window in one coach, the railcar or coach is still minus its bogie and stuck up on a transporter wagon (I don’t remember how many years it has been like that – a good few) and a diesel is still dumped outside the shed. I’d guess that all the transporters have been moved to Smigiel as part of the tender process.